Fine furniture craftsmanship at its utmost style. This upholstered accent chair blends the best of contemporary with the best of traditional, creating a transitional piece that homeowners can flaunt. Starting with the elegance of a wing-back design, this chair moves into the modern with smooth pulled upholstery, crisp covered corners and sleek wooden legs. Chrome nailheads provide a finishing touch, dating back to the classic furniture movement while a t-style seat supplies comfort and support. 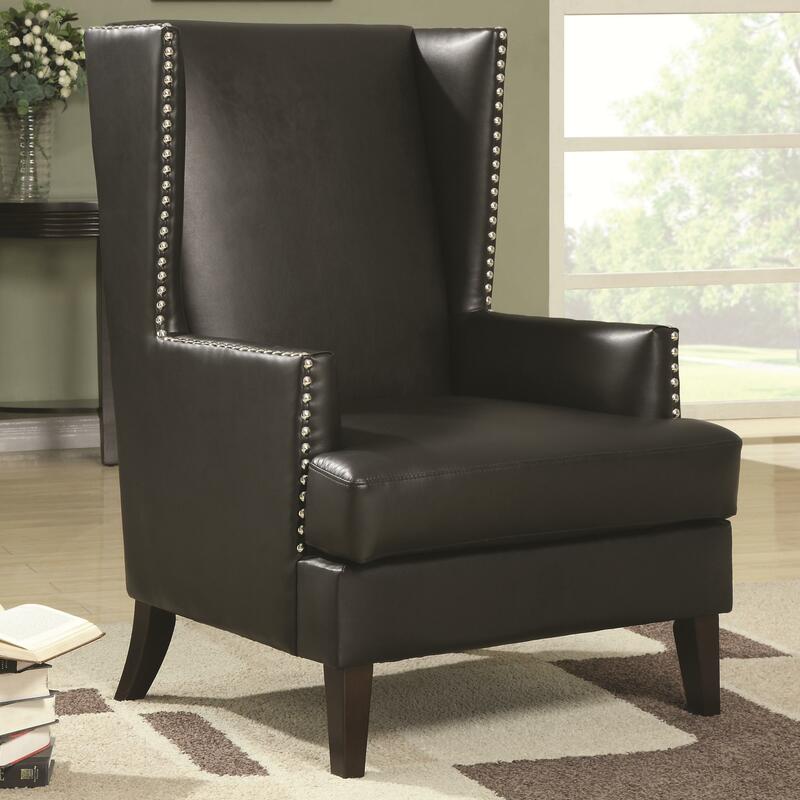 Use this chair in living rooms and dens for a bold style that blends with many decors. The Accent Seating Wing Back Accent Chair in Transitional Furniture Style with Nail Head Trim by Rooms Collection Two at Rooms Furniture in the Houston, Sugar Land, Katy, Missouri City, Texas area. Product availability may vary. Contact us for the most current availability on this product. The Accent Seating collection is a great option if you are looking for Transitional furniture in the Houston, Sugar Land, Katy, Missouri City, Texas area.